Our favorite travel guy, Lee from BaldThoughts.com, returns to help us find the best travel credit card. Learn where to start, when an annual fee is worth it and Lee’s thoughts on cash back versus points credit cards. Special Bonus Quick Pop Episode with Jason From TheWealthHound.com. This is a quick and fun rapid fire question session. When it comes to the Side Hustle, we often forget that the "Hustle" is the key to your success. Author and award winning TV anchor Bobbi Rebell shares how her desire for a better work life balance pushed her to work hard on her side hustle all while working full time. April 25th, 2018 is Financial Health Matters Day, a.k.a. #FinHealthMatters Day. This day was created by CFSI to bring attention to America’s financial health. This year the focus is specifically on the financial health of our students. Trying something new! Special Bonus Quick Pop Episode with Jamila From Journey to Launch. This is a quick and fun rapid fire question session. Have you ever looked at your investment account and wanted to know how your choices compare to other investors that you respect and trust? Karl joined me at a table in the middle of the FinCon conference floor to discuss his app KINFO which helps you do just that. 050: Celebrating 50 Freshly Popped Episodes! We made it to Episode 50!!! Who would have thought 9 months ago that we would be here? Thank you so much for sticking with me and listening. In today's episode I reflect back on how I started Popcorn Finance, recording with two other guys in a hot sound booth and the future of Popcorn Finance. To help me make the next 50 episodes the best they can be I've made a really short survey to find out what you would like to see in the future from Popcorn Finance. The survey is super short and will only take a minute to complete, but it will have a huge impact on what you see down the road. Click Here to take quick survey PopcornFinance.com/50 Thanks for your feedback!!! It's America Saves Week! Take a listen to a special podcast episode & join me in taking the America Saves Pledge by visiting PopcornFinance.com/AmericaSaves. Once you take the pledge you'll have a chance to earn up to $750 towards your savings goal! Plus one Popcorn Finance listener will win a $100 gift card! 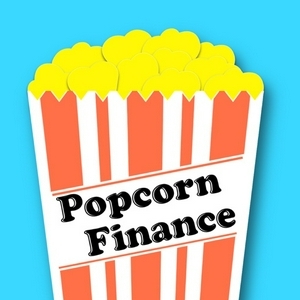 Welcome to the Popcorn Finance Podcast! Thanks for joining me! Welcome to Vol. 2 in our 2018 Listener Goals Series! Today we take on savings. Whether you are saving up so that you can tell your boss you're never coming back or just to give yourself some more financial security, together we discuss our savings goals for 2018. Big thanks to the following listeners featured in this episode -Helene -Ileane -Irene -Jamila -P.T. This week we pick up where we left off a couple of weeks ago on episode 032. In part 2 of my conversation with "K" we discuss some of the things that got us into over $27,000 in debt and what were those purchases that we really enjoyed. Tyler from WhenTheMoneysGood.com shares what it's like living in one of the most expensive cities in the U.S. just out of college. Sometimes we learn the most during our most difficult times. Today's episode was inspired by one of my favorite Hip-Hop artists, Lecrae, & one of his latest songs, Broke. I found a new fortress of solitude & it's called the public library. Little did I know that it would come with an extra perk. I received two great calls with a minty connection. Today we discuss budget tools & a potential business opportunity. “You should diversify your portfolio.” We’ve all probably heard this before. But what does this actually mean? Join me today as we discuss what diversification is and why it’s important. 022: Should I Pay Off My Credit Cards? Andrea called in with a great question about whether or not she should pay off her credit cards if she received a large sum of money. The Equifax data hack has been all over the news & like many, I'm sure you were confused & concerned. In this episode you will learn the details that have been released & what actions you can take. I'm joined today by a special guest co-host, Rex Barrett, from The Maven's Top 3 Podcast. Rex is known for his top 3 lists & together we list the top 3 ways we spend our money just for fun. I received a great call from Alfred as a follow up to episode 017. He wanted to know some creative ways to use bank accounts in his budgeting. Join me for the answer. Today we discuss what a stock market index is, why it was created, and a few examples of the most popular stock market indices. Automation is an extremely powerful tool and something that can be used to simplify our financial lives. Join me this episode as we discuss some of the ways we can utilize automation in our finances. Interested in loaning your money out to a business or corporation? Learn the ins and outs of bonds in today's episode. Stocks are one of the most well known investment vehicles, but, also one of the most misunderstood. Learn what a stock is, how it works, and what is your role as a shareholder. The NBA can be a fun, but also expensive experience. I'm joined by Victor from The Rebound to discuss the ways we enjoy the NBA while still working with in our budgets. The importance of saving is never more evident than when a financial emergency hits. Today's episode is a short discussion on getting your savings in order. We have a tendency to compare ourselves to others. When it comes to credit scores we are no different. But, there comes a time when those few extra points mean nothing more than bragging rights. How does applying for a new credit card or loan affect your credit score? Learn the difference between a hard and soft credit Inquiry. Is paying to have your credit repaired worthwhile or just a waste of money? Come join the discussion. Learn how to put an end to the constant credit card junk mail that we all receive far too often. Join me in part 2 of our discussion on the top myths surrounding your credit score. There's so much bad and just plain false information out there when it comes to your credit. Join me in part 1 of our discussion on the top myths surrounding your credit score. Today I have an amazing interview with Jamila from JourneyToLaunch.com. Join us as Jamila shares her journey to retire in her 40's after tackling her debt and saving over $85k with her husband. In this episode we will discuss the development of our credit system and what led to the creation of the FICO score. Have you ever wondered what goes in to making that mysterious three digit Credit Score? Find out the 5 factors that go in to calculating your FICO Score here on Popcorn Finance.